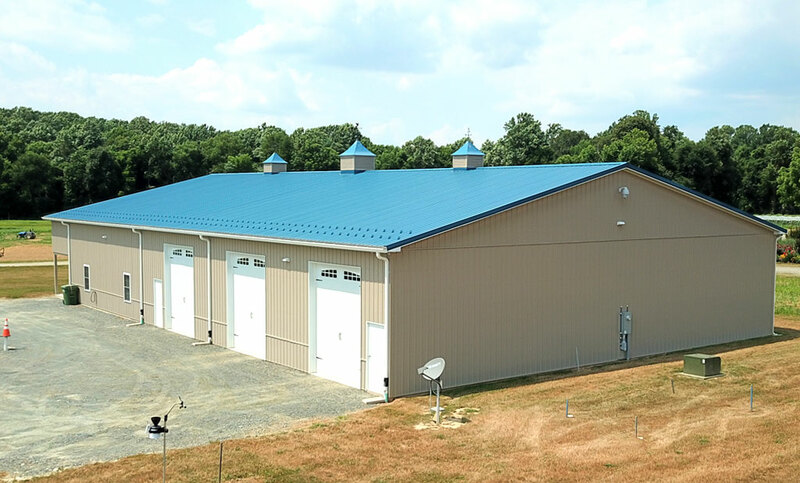 As a leading storage building contractor serving the Mid Atlantic region, we recently completed work on a new project in Maryland. Check it out in the photos below! 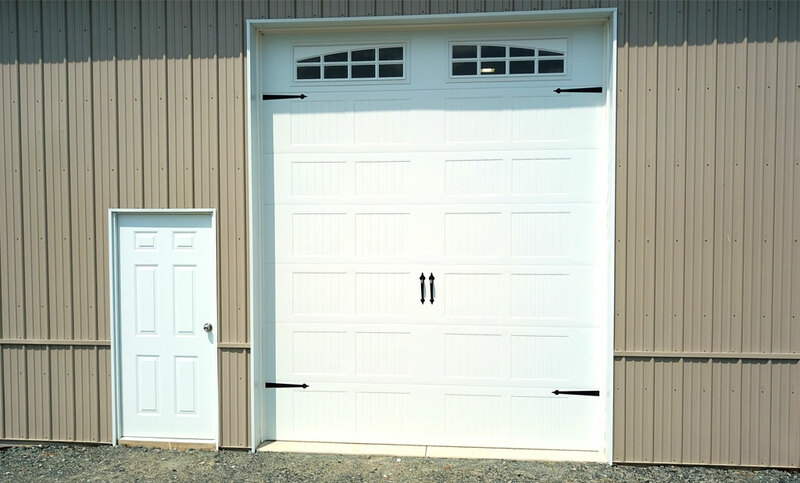 This large post frame storage building includes a variety of custom features that add style and functionality to the structure. 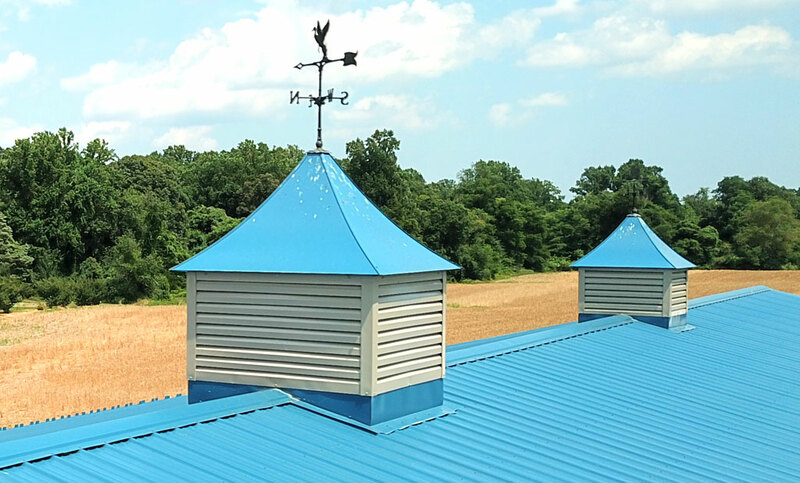 From a design perspective, the tan siding and blue roof put a modern twist on a traditional post frame building design, while multiple cupolas and functional snow catchers complete the look. The building features oversized garage doors that include transom windows, in addition to standard windows throughout the structure, allowing light to stream into the interior spaces. It also includes a second-story overhang, creating covered storage space on the outside with additional storage space inside. A large lean-to is incorporated to the rear of the building, providing easy-access storage for trailers, vehicles, and other property. The lean-to is built right into the structure of the building for a clean, simple look. 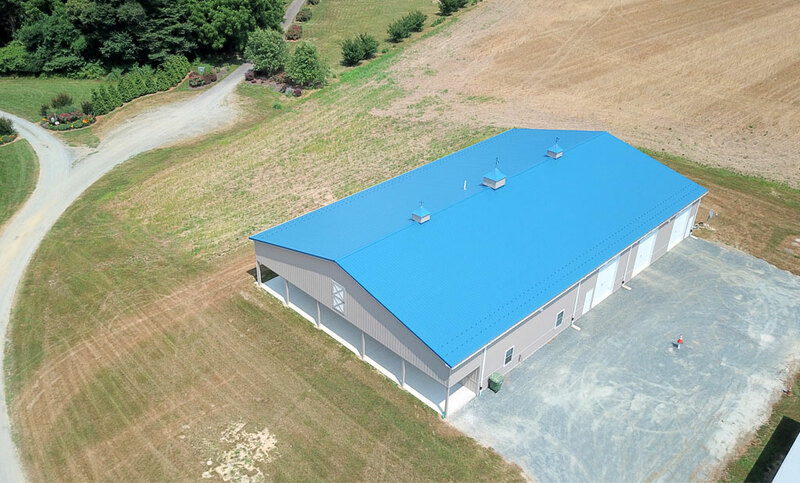 This building features over 7,150 square feet of enclosed storage space. 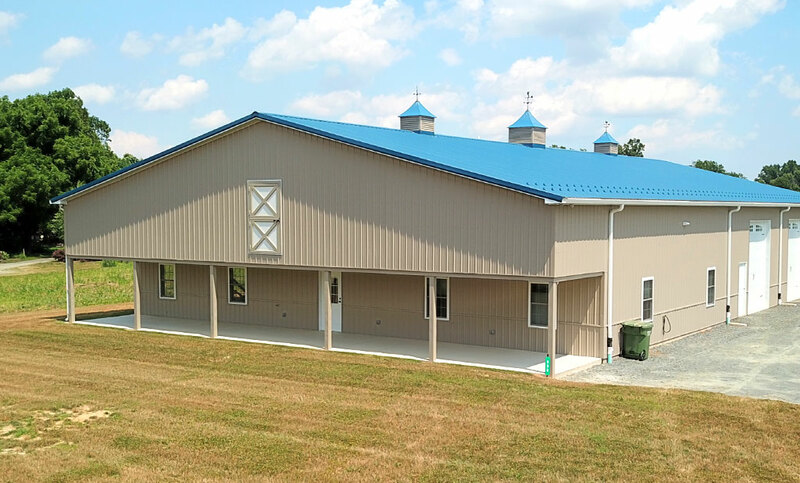 And thanks to the additional covered outdoor storage provided by the lean-to and second floor overhang, it is truly a multi-purpose storage building. 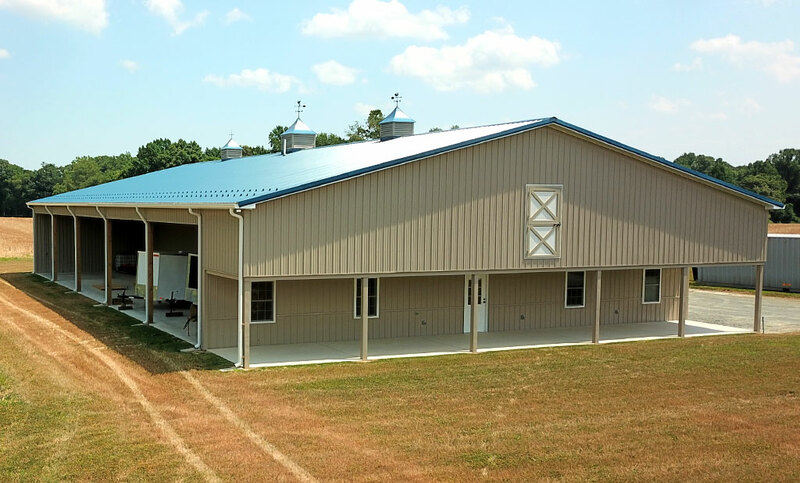 If you’re interested in working together to bring your post frame storage building vision to life, contact us today. We look forward to working with you to develop a custom building solution that will enhance your property!